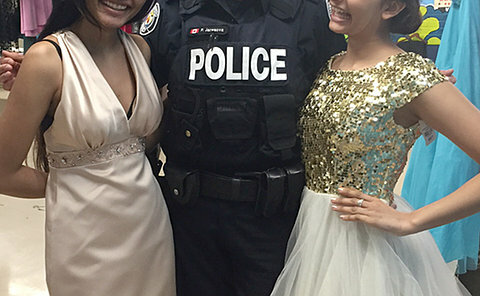 The second floor of the Eastview Community Centre was transformed into a one-stop shop for teens looking to their perfect look for prom night. 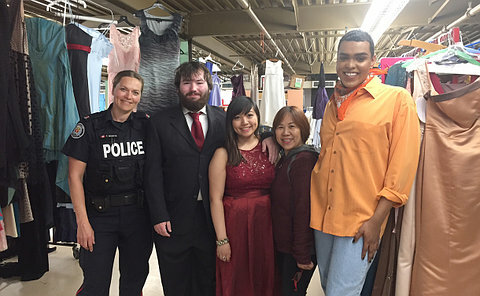 It was the fourth consecutive year members of the 55 Division Community Response Team organized the 9-1-1 Prom Program, which took place on April 30. 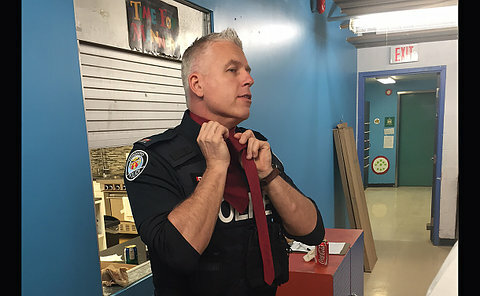 In all more than 500 dresses along with shoes, handbags and jewelry were donated, including, for the first time since its inception, items for boys with over 35 suits as well as dress pants, dress shirts, ties and shoes. She said a couple came in together in hopes of finding formal wear. 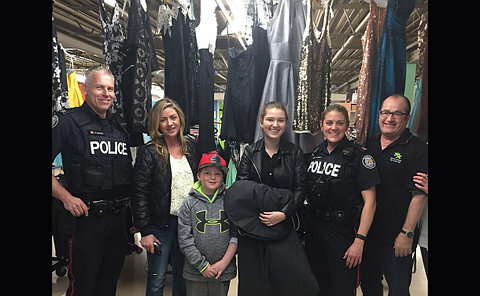 Constables Katie Shipley, Erik Sudmals, Sue Sheppard and Pat MacDonald spent the morning transforming the second floor of the Eastview Community Centre into what seemed to resemble a high-end clothing store. Racks filled with seemingly endless amounts of clothing and tables displaying all the accessories. Local community for donating overwhelming amount of donations. 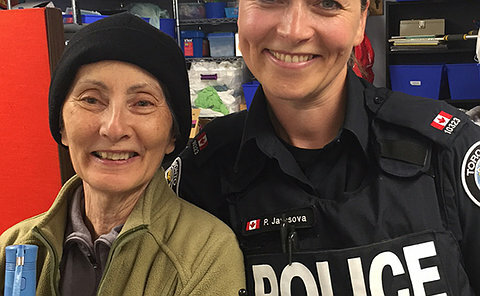 Sue Sheppard from 55 Division who helped to sort out the donations on her own time as well as volunteering during the event. 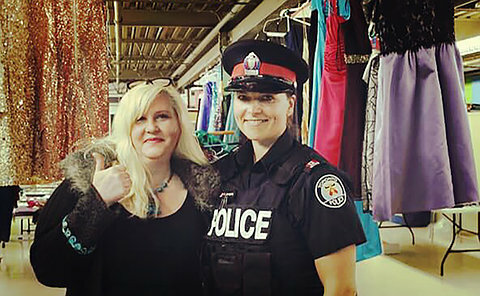 The remaining items were further donated to the Salvation Army, Value Village and the Pegasus Store locatedat 931 Kingston Rd. (Community Project for Adults with Special Needs).